Here is the list of top 5 vendors emerging Threat Hunting tools, but before that let us understand what threat hunting exactly refers to. Threat hunting is a proactive approach to identifying adversaries rather than reactively waiting for an alert to go off. This is an iterative process, meaning that it has to be continuously carried out in a loop, beginning with a hypothesis. It involves a security analyst who keeps an eye throughout threat intelligence and other data and, using their knowledge, building a hypothesis about potential threats to the resources of the company they’re protecting. It is possible to partly automate some of this using machine learning, and along with user and entity behavior analytics to highlight potential risks. And with this new market, organisations are attempting to maximise the buzz around threat hunting, positioning their own products as able to operate in this latter space. Sqrrl is the threat hunting company that enables organizations to target, hunt, and disrupt advanced cyber threats. 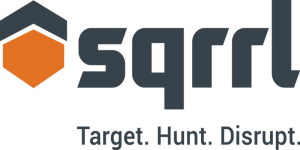 Sqrrl’s industry-leading Threat Hunting Platform unites link analysis, User and Entity Behavior Analytics (UEBA), and multi-petabyte scalability capabilities into an integrated solution. Sqrrl reduces attacker dwell time by detecting adversarial behavior faster and with fewer resources through the use of machine learning, and enables effective threat hunting. As an incident response tool, it enables analysts to investigate the scope, impact, and root cause of an incident more efficiently and thoroughly than ever before. Vectra Cognito™ is the fastest, most efficient way to find and stop attackers in your network. It uses artificial intelligence to deliver real-time attack visibility and put attack details at your fingertips to empower immediate action. Vectra Cognito unburdens and empowers security operations teams that are often understaffed and under siege. This is achieved by automating the time-consuming analysis of security events and eliminating the need to endlessly hunt for hidden threats. Vectra Cognito automates the hunt for cyber attackers, shows where they’re hiding and tells you what they’re doing. The highest-risk threats are instantly triaged, correlated to hosts and prioritized so security teams can respond faster to stop in-progress attacks and avert data loss. Infocyte is a developer of proactive cyber security solutions designed to identify threats and unauthorized activity on enterprise networks. Through their technology, Infocyte is pioneering the first objective breach discovery assessment that is both fast and affordable enough to perform regularly. Infocyte HUNT provides an easy-to-use, yet powerful solution to limit risk and eliminate dwell time by enabling an organization’s own IT and security professionals to proactively discover malware and persistent threats, active or dormant, that have successfully breached existing defenses and established a beachhead on one or more endpoint devices. Exabeam Threat Hunter is an advanced querying tool that uses Stateful Session data models to complement user behavior analytics. It enables security analysts to search and pivot across multiple dimensions of user activity to find sessions that contain specific unusual behaviors or find users that match certain criteria. For example, an analyst might ask to see “all sessions where a user logged into the VPN from a foreign country for the first time, then accessed a new server for the first time, after which FireEye created a malware alert.” This level of analysis across disjoint activities and systems is simple with Exabeam. Now analysts can ask new questions. With Threat Hunter, machine learning provides intelligent answers, in addition to alerts. Endgame Inc. is a leading endpoint security platform that transforms security operations teams and incident responders from crime scene investigators into hunters that prevent damage and loss, and dramatically reduces the time and cost associated with incident response and compromise assessment. Endgame’s platform uses machine learning and data science to prevent and detect unique attacks at the earliest and every stage of the attack lifecycle. Endgame’s integrated response stops attacks without disrupting normal business operations. DNIF, a product of NETMONASTERY offers solutions to the world’s most challenging cybersecurity problems. Recognized by Gartner and used by some of the well-known global companies like PwC, Vodafone and Tata, this next generation analytics platform combines Security and Big Data Analytics to provide real-time threat detection and analytics to the most critical data assets on the Internet. With over a decade of experience in threat detection systems, DNIF has one of the fastest query response times and bridges the gap between searching, processing, analyzing and visualizing data thereby enabling companies with better SOC (Security Operations Center) management. Disclaimer: Vendors in the list are selected based on real users’ activities in Threat Hunting at FireCompass Platform.